Starting from January 1, 2014 all LPG consumers in Belgaum also will be under the Direct Benefit Transfer for LPG scheme. Dont panic there is nothing very hectic you have to do unless you dont have an Aadhar card. And even if you dont have an Aadhar card the LPG delivery will continue upto March 31, 2014 which means one has THREE months to get their Aadhar number linked to their LPG and Bank account. 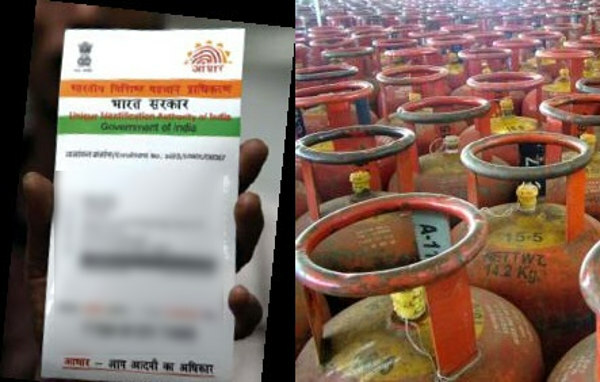 Consumers will first need to link their Aadhaar card numbers to their LPG consumer numbers. Under Direct Benefit Transfer for LPG consumer (DBTL) scheme an LPG consumer will get his/her cylinder at full market price (excluding VAT) and the differential between subsidized price and full market price i.e. the subsidy will be transferred to his/her bank account. Visit your LPG distributor and give him the filled form. Visit your nearest bank branch, ask the Bank Representative that you want to link your Aadhaar number with your bank account and follow their instructions. After completing these 3 steps the CTC consumer will start receiving his/her LPG subsidy directly in their bank account. 1. Visit website https://rasf.uidai.gov.in and follow seeding procedure. Call on toll free number 18002333555, inform the call center agent that you want to give your Aadhaar number and follow their instructions. As per supreme court ruling.. Adhar card is not mandatory nor a compulsion. Secondly, one many not like to give his or her biometric details to government. (retina scan and finger details need for adhar card). Its like profiling people – like police records in western countries. Question is how safe is this data is with government ? Can this be missed used. who will audit its safety ?. Also understand some Muslim group has banned adhar card as its against their tenants of their religion.